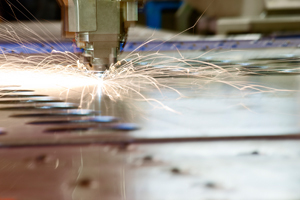 Danforth offers Specialty Metal Fabrication that serves the industrial, healthcare, and food processing markets in Western New York and Northern Pennsylvania. We can produce high quality custom metal material handling, safety, dust control, enclosure applications. Our Team is equipped with expert knowledge and state-of-the-art technology to engineer, fabricate, and install all steel, stainless steel and aluminum alloys. Our metal workers have access to cutting edge equipment in our 45,000 ft² Fabrication Facility located in Tonawanda, New York. We are the only firm in Western New York that can self perform fabrication, installation, transportation, and integration of both specialty metal work and process piping systems. This translates into savings for our clients due to our single layered markup versus our competitors’ multi-tiered subcontractor markup model. We differentiate ourselves from our competitors by being a single source custom metal solutions provider. Our Team can save you money by integrating our experience, facilities, and other capabilities to tackle the most challenging of projects. Start Your Specialty Metal Project with Danforth. Meet with one of our Specialty Metal consultants. We’ll outline our process and begin your project estimate. Fill out an Online Estimate and we’ll reach out to you with a Specialty Metal proposal drafted to your exact specifications. Get answers about our Specialty Metal services and speak with a knowledgeable Specialty Metal Expert.